The school’s Christian values of Challenge, Integrity, Respect, Community, Love and Equality (CIRCLE) are central to the life of this school.They are known, understood and lived out by all the school community. Learners understand how these values impact on their lives and on their learning. Great value is placed upon collective worship which is well-planned and integral to the school’s CIRCLE values. Learners are enthusiastic about religious education and show a genuine interest in both the content of lessons and the varied activities which stimulate their thinking. They have excellent behaviours for learning demonstrating a mature approach which enables them to master knowledge and skills in a supportive environment where all opinions are valued and respected. The governing body, school staff, parents and learners themselves, all articulate the Christian values of Challenge, Integrity, Respect, Community, Love and Equality (CIRCLE). These values are embedded into the heart of everything the school does and have a positive impact on the lives of the learners served by the school. 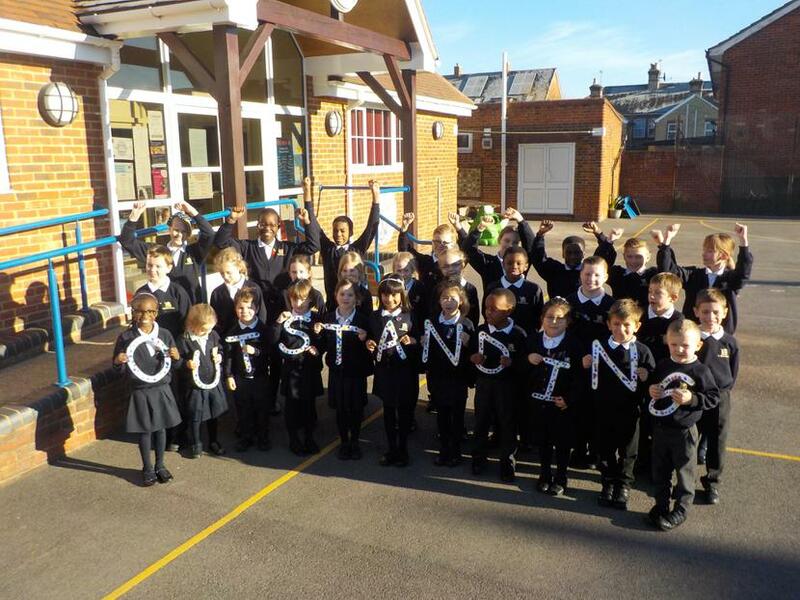 The school staff, led by the headteacher who is an excellent role model, ensure that the school’s values are integrated into every aspect of school life, which has promoted high standards of both attainment and pupil progress. The inspector was especially impressed with how the "school provides an excellent ‘family feeling’ in which each member of the school community has an important place and a sense of belonging". Please enjoy reading the report. A copy of the SIAMS report can be found by clicking here.